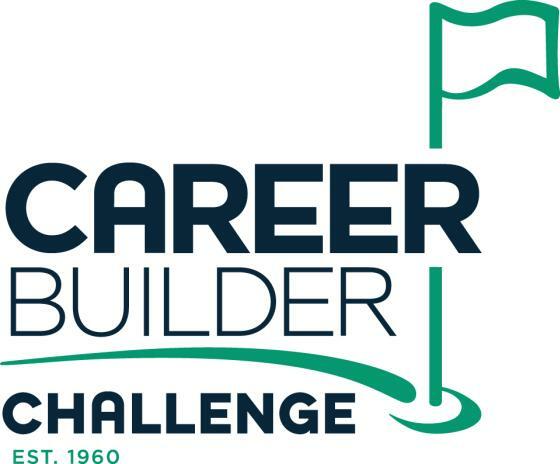 Known for years as the Bob Hope and then the Humana Challenge, the Careerbuilder Challenge launched January 2016. Whereas the Bob Hope Classic was unique on the PGA Tour for being played on four different courses over five days, the Careerbuilder will use the traditional four-day PGA Format. It remains, however, one of two of the Tour’s televised celebrity pro-am events (the other being the AT&T National). A four-day tournament, beginning Thursday of tournament week, with the first three rounds played in a pro-am format. For each day of the three-round, pro-am competition, the professional has a different amateur partner. Amateurs will compete in daily competitions as well as an overall, three-day competition. Round 4 is professionals only with a normal 70 + ties cut. The top three low net and low gross amateurs will play alongside the pros on Sunday to determine the overall winners . The overall low net amateur and low gross amateur playing on Sunday will be awarded crystal as the 2015 Careerbuilder Challenge Amateur Champion after play on Sunday. The field size for the event is 156 professionals and 156 amateurs. The tournament plays out over three courses: La Quinta Country Club, a tournament course since 1965, PGA WEST Nicklaus Private and PGA WEST Palmer Private. PGA WEST has been in the rotation since 1986. Silverrock Resort Course has been dropped.From 1960 to 1962, the tournament was played at Thunderbird Country Club and Tamarisk Country Club, both in Rancho Mirage, California; Bermuda Dunes Country Club in Bermuda Dunes, California; and Indian Wells Country Club in Indian Wells, California. Bermuda Dunes has been used every year of the event and Indian Wells every year until 2006. In 1963, Eldorado Country Club in Indian Wells, California, replaced Thunderbird Country Club. La Quinta Country Club in La Quinta, California replaced Tamarisk Country Club from 1964 until 1968, but rejoined the event from 1969 to 1986, alternating with Eldorado Country Club. Bob Hope added his name to the tournament in 1965 and became the Classic’s Chairman of the Board. Starting in 1987, the classic courses began to be phased out of the vent. The PGA West in La Quinta got a permanent spot in the rota in 1997. Eldorado Country Club was dropped in 1990. In 2005, a local foundation gave the Classic Club in Palm Desert, Calif. to the tournament. It replaced Indian Wells the following year. The Hope now is the only event on the Tour that owns its own facility. Strangely, it was dropped from the rota in 2008 (over player concerns about high winds). The tournament now owns a course that isn’t used for the tournament. Strange. The 2011 rota consisted of the PGA West (Palmer and Nicklaus Courses), La Quinta CC and Silver Rock Resort, all in La Quinta, California. Bermuda Dunes is not being used this year. The tradition of choosing the tournament’s “Classic Girls” from among the area’s collegians began in those early years, with the earliest tournaments having a celebrity dubbed “Classic Queen.” The earliest titleholders included Debbie Reynolds, Jane Powell and Jill St. John. The queens of the 1970s included Barbara Eden and Lynda Carter. The Classic’s biggest draw was—and continues to be—the celebrity Pro-Am competition which has attracted some of each era’s biggest celebrities. Of note was Dwight Eisenhower, who became the first president to play in a Tour event. History was made at the tournament in 1995 when the pro-am team of Bill Clinton, George H.W. Bush, Gerald Ford, and defending champion Scott Hoch teed up for the tournament’s opening round. The event marked the first time a sitting president – Clinton – had played during a PGA Tour event and perhaps the first time three presidents had ever played together. Bill Clinton has hosted since 2012. The first tournament was won by Arnold Palmer with a final score of 338, or 22 under par. Palmer would win the event five times: 1960, 1962, 1968, 1971, 1973. More Hope Classic history: David Duval shot a 59 in the final round of the event in 1999. For a recount of the round, visit here.